♦ Lois thank you. I see you as a source for pure love that helps others to see their own love. ♦ Thank you so much for everything!!! It’s amazing how much better I feel after my session with you!!! I feel like I have the knowledge and the ability to learn what I need to learn to get past my present problems. You were so RIGHT when you said “knowledge is power” I feel like I have my power again. It is soooooo nice. I really can’t thank you enough. You are a wonderful, loving person. ♦ Hi Lois, I am doing well. I met a nice guy and I will meet him soon for a date. This is a big step for me as I hadn’t dated in years connected to my childhood issues. It is a huge accomplishment that I put myself out there. So, please know that you have helped me. ♦ Hi, Lois, In my search for a solution to the subconscious/emotional issues that may be hampering my rapid recovery, I have tried many avenues of investigation. – I also did some work with Chinese meridian and energy work – frankly, I preferred the straight physical therapy to the combination with emotional work. – I love David Hawkins work. He has had pretty much every disease out there, and overcome them all. On health, his statements on just negating illness by stating “I am not subject to the limitations of this dis-ease, therefore I cancel and erase it, but I have not so far had visible results from these affirmations. 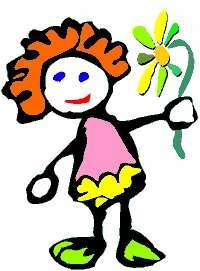 ♦ Thanks for all of your help and kindness and the things you do to make the pieces of our selves come back together. Whoever said they couldn’t put Humpty Dumpty back together again hasn’t met you yet! sleeping at night. I went to a chiropractor three times a week with no relief, then to an acupuncturist which relieved the buzzing for a few hours and then to an energy healer which helped for about half of a day. After our first session together, my buzzing completely stopped for 2 days! I felt so normal and happy for that short amount of time. Then after our next session, the buzzing was completely healed! It’s been over 2 months and I still have no more buzzing. It is amazing how your simple technique works so well for healing physical ailments, and even more amazing is how your technique heals deep seated emotional traumas which left me with blissful peace. I highly recommend this healing technique for all who need emotional and spiritual healing. Thank you Lois….,.You are amazing! ♦ There is no one like Lois, as a person or therapist. She is constantly learning and is as dedicated to her own self-evolution as she is to yours. This is a rarity among most of the therapists I know. I came to Lois when my health fell apart. I knew I was on the way out unless I did something fast. With Lois’ help, I discovered the map of sitcom characters that were running my life. These characters were the submerged, unhealed parts of me that needed to be brought into the light of day and made friends with. I did. 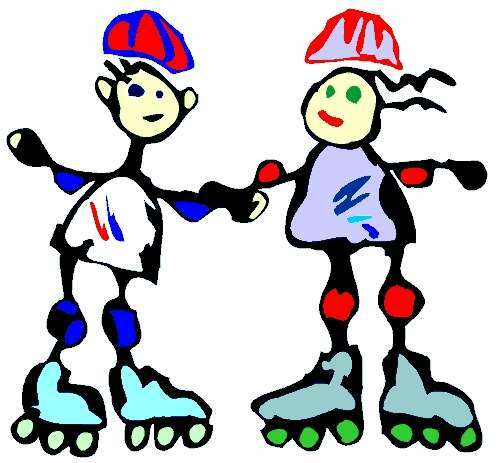 Lois showed me a way of integrating all of the unhealed aspects of myself into my conscious reality in a fun way. I consistently felt uplifted after each of our sessions. I never felt rushed by time, because she always had my genuine interest at heart. When I look back upon my life, there have been a number of people who came along that made the difference in my life. Lois was one of these people. I will always be eternally grateful to her. ♦ It has been said ‘physician, heal thyself’ and I have heard that one of the worst mistakes a healer can make, is not to heal themselves first. Lois Hollis healed herself first of the traumatic effects of child abuse. She understands how the shame of those events gets deeply buried within a person and affects their mind and body. The difference between one session with Lois and the hundreds and hundreds of appointments with other counselors, was that other counselors were on the outside looking in. They tried to guess how to heal an adult abused as a child. Lois understands. She has been there. Lois healed herself after experiencing doctors looking in from the outside could not help her. 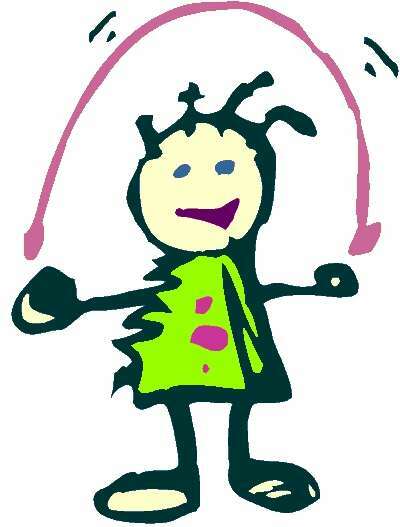 She can tell you how she did it and help you to heal yourself just with colored pencils and a big sheet of paper. She understands why it’s not enough to just say you forgive those who hurt you, or say that you forgive yourself for bad choices that you might have made as a result of the abuse. You have to go a step further and she can tell you how. I will always be grateful to her for understanding in a way that no one else could. She is so joyful and so happy. People always say just let it go. Lois showed me how and made it easy! ♦ When I first meet Lois, I was depressed, withdrawn, and cried most of the time. I went though three unhappy marriages, and was desperate to have, or be with, a person who could make me happy. I had gone though 15 years of psycho-therapy with medication. I still felt no confidence or self-worth, even though I was very accomplished. I was the Director of Logistics for a major international marketing company and subsequently owned my own business. Lois, in her loving, supportive, but very determined way, helped me to free myself from guilt and got me in touch with my creative self. My creativity instantly soared! I am now involved in areas that I never would have allowed myself to go into before. I was able to stop taking some of my medications, and I enjoy my alonetime. My anger and guilt are just gone! I even changed my hair style and wear brighter colors with upbeat designs. Thank you, Lois. I finally see and feel the value that only others could see in me. I now enjoy life, instead of just living it. ♦ Lois’s counseling work has provided amazing results to me. I have always had a challenge with financial abundance. My belief was that God and the universe were fully abundant and that I deserved all that I desired. Unfortunately, my reality did not show that belief in physical manifestation. Lois showed me that by healing from shame, I had the key to unlocking the door of my ability to manifest all that I desired. I recently opened a functional fine art gallery, and while my sales were all right, I desired an increase in my income. After my second session with her, I sold a large furniture order. After my third session with her, my gallery sold its first painting. After my fourth session with her, I sold another painting, this one four times more expensive than the first. I am elated with my results of working with Lois! I feel the ease with which I can now command what I want in my life instead of feeling at the effect of my sub-conscious mind. If I go into fear, I have the tools to pull me through it and to find my true empowered self. I highly recommend Lois’ work to anyone, and I have referred five people to her already. Thank you, Lois, for all that you are and all that you do! 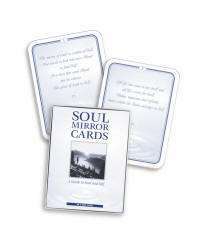 ♦ I was introduced to Lois Hollis’ Soul Mirror Cards about one year ago, and it was my tiny baby step. But baby steps are some of the most celebrated times in a child and parent’s life. I am celebrating those steps in this moment as I see how very far I have walked since that momentous occasion. I have awoken from deep despair and depression. Obsessive thought patterns have melted—I sleep! And I have manifested some very joyful things in my life that seemed impossible less than a year ago. I was promoted to an executive title at my work. I have begun teaching art to children in crisis. I am painting, writing, and even sharing intuitive healing with others. The “evidence” of the work, however, is minuscule in comparison to the most amazing love relationship I have with myself. Thank you! My gratitude is eternal for this and comes from a place of the utmost sincerity. I forgot to mention the speed in which the changes took place—it was miraculous, like what the Hindus call shaktiput. Sometimes when we were talking, I felt enveloped with rapture. ♦ Lois opened a whole new world for me. A person cannot go to school to learn what she knows. She is a true gift. ♦ Lois’ presence, compassion, and direct “seeing” are a true gift and breath to my soul. She expresses in words and insights what my soul has longed to hear and explore. She assisted me to reveal the light, truth, and love within. I found her work to be extraordinary and deeply life-changing. 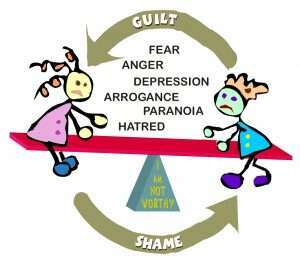 ♦ Shame was a word that was not in my vocabulary until I met Lois. When I discovered that shame was a large part of my life, I healed. Now I am more confident and playful. I thank Lois for giving me a way of loving myself. ♦ Lois supported me when I was critically ill. Her intuitive coaching and caring showed me how to find the submerged and wounded aspects of myself. My health improved. I will always be eternally grateful to her. ♦ I am a seeker of spiritual practices for many years. However, I still felt disconnected and not integrated. It was not until I worked with Lois that I began to bond with the shadow lands of my emotional wounds. Then I found my unique voice of my soul self. I now have focus in my life. ♦ I feel wonder. I wake up in the morning singing. Thank you. I love you. ♦ Lois has the ability to cut through the “story” and to get to your real issue. She does this with great gentleness, compassion, and integrity. Her enthusiasm and passion for her work shines through and motivates you to feel excited about your own journey. Lois has LIVED everything she teaches—this is where her real authority comes from. Her insights are very deep and profound, as can be seen through her Soul Mirror Cards. I have found these cards to be instrumental in aiding me on the next part of my journey. One particular time when I was feeling despair and confusion, these cards were the vehicle for the Spirit to comfort and lead me. Whether my sessions with Lois have been in person or over the Internet, they have always been invaluable, uplifting, and joyful experiences. I am so grateful that she has come into my life. ♦ Lois’s readings are remarkable! Her language mirrors the heartbeat of my soul. They helped me merge with the streams of the universe as my soul engaged in a magical dance of passionate wonder and purpose. Lois’s reading refocused me on my path with a sense of peace that transported me to my heart where everything made sense but was still magical. 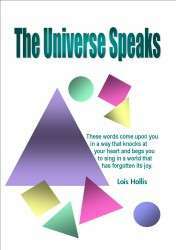 ♦ Each time I interact with Lois or her soul cards, I am always uplifted by her deep personal and spiritual insights. Her soul cards and groups speak to me about my unspoken questions with answers just like “the living bible” has spoken to me. They are truly “living cards”! It’s almost as if the cards have scanned my soul and in turn have exposed to me what it is I need to learn, how to look at it spiritually, and what the rewards are by doing so. Lois is a spiritual messenger. Thank you for being you, Lois! ♦ I have been in counseling many times, each time making a little progress along the road to emotional healing. Sitting in my studio, quietly talking with Lois, I found “it.” Her gentle guidance opened me to my soul. I believe we accomplished more in one hour than in all of my years of traditional therapy. I highly recommend time with Lois and her innovative counseling technique. In times of confusion, I can bring me back to myself with the wisdom she taught me. ♦ Lois is a lively, smiling, compassionate woman who counsels and coaches people. Astuteness and intuition enable Lois to assist you to discover your soul’s longings and how to obtain them. I consider Lois to be a psychological general contractor, equipped with a complete toolbox and a set of your original spiritual blueprints. She guides you to your best emotional tools so that you become your own psychological carpenter. You are able to do anything from renovating outdated wiring survival skills that hinder connections to others to re-framing outdated thoughts so that you can balance your support beams. Thanks to Lois, I renovated my house of self and now live in a home of peace. If you have a specific issue or a generalized sense of unhappiness, Lois can help. ♦ Lois is a gifted teacher whose sense of morality and ethics are not man-made but divinely inspired. She is the peacemaker who has abandoned judgment on behalf of love and understanding. ♦ I have never experienced this level of comfort with a “therapist” before. In individual sessions, I am completely relaxed to let Lois and my spirit perform their magic each moment we are together. After a few minutes with this irrepressible person—both disarmingly enchanting and down-to-earth—I knew I’d found a goldmine. Finally! After years with those who promised to do the healing for me (and didn’t), therapists who wanted all of my background information in order to fit me into their therapeutic model, teachers and workshop leaders who left me feeling empty within 24 hours, impersonal books with vain exercises—I found someone who told me she could help me heal my emotions. In less than the ten minutes of our first phone appointment—long distance at that—she more than confirmed that she would do what she said. She launched me out of the dry dock of neglect and regret onto the seas of my self with only brief preliminaries. She was an amazing first mate who was determined to help me—the captain—find my ship’s unique character. 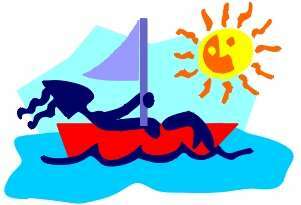 I was the one who chose the direction and distance to sail. Lois, as first mate, knew that there were glory days and untold adventures not yet seen by me, the stoic and reticent captain. She didn’t know my ship like I did, but she knew about reviving and navigating her own ship. Over our numerous appointments, Lois didn’t use mystical or psychological terms that could create distance between us. She used everyday language, which evoked within me a mystical feeling of an inspired moment over a moonlit sea or a challenging storm. This first mate was different from the others who wanted me to play it safe by their book and not venture too far out of their port, much less to exotic destinations. No, no, no, this one was very different. She stood beside me while I related my harrowing memories, which put my ship in dry dock. She saw the revelatory nature of them, the love and wisdom they contained, and their forgotten resources from my lack of acknowledgment and from discouragement. Each time I turned unwittingly to do it by the book, Lois prompted me to navigate by my inner compass and nothing less. For, as Lois might say, “there are times when clouds obscure the stars and maps are blown away by a sudden gale.” Eventually, I learned through Lois’s summoning all the masterful parts of myself, and that all of me was good. I just needed to acknowledge and soothe my troubled feelings. She told me to be patient and kind to them; they would talk when they were ready. They did! 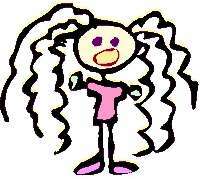 Soon, I realized my troubled feeling parts were refreshingly simple, with remarkable and juicy insight. Lois let me man the rudder and choose the ultimate direction, but she helped me see which way the wind was blowing without elaborate explanations. Sometimes I felt the seas were too choppy, but I remembered that this is the ebb and flow of the sea. My ship—my life—comes with a remarkable and underused radar called “feelings” that advise me—just like seagulls and loose sails, even though the brass railings are tarnished and the rocks damaged the hull. Lois’s gift can discern the difference between an immovable obstacle, like a rock, and a big fish ready and willing to get out of my way. She has the concomitant ability to restore the same innate discernment in the handling of my own ship. • Improved Relationships: stopped avoiding family and friends, more self-confident and less defensive. ♦ Lois—How is it that you could help me so quickly…I mean in just the first session we were able to heal so much of the emotional stuff that I have been dealing with for such a long time with many different therapists? A.G. Boston. REPLY—The solution is not doing a lot of work, it is doing the right work for you. I have a gift of being able to see the root to an emotional problem. I can quickly help you to see the right work that you need to do to emotionally heal. ♦ I’m not sure you could remember me. It’s been almost 2 years since I received help from you in 2016. WordPress Theme created with Themler by Lorelei Garnes.